Welcome--it's nice to see you here! Lawrence Miller, L.Ac. 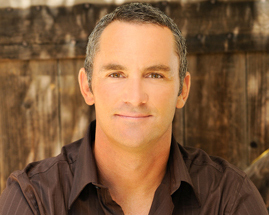 is a Licensed Acupuncturist & Herbalist, a cancer survivor, an Ironman triathlete and an ultramarathon runner, a father of two, and is committed to a lifetime of helping patients to become their optimal selves through holistic healthcare. 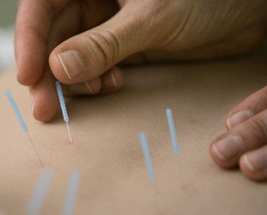 Regardless of your condition, the practice of Chinese Medicine has something to offer you. Ranging from acupuncture treatment, the prescription of herbal medicine, lifestyle modification, and in-depth dietary analysis, the doctor of Chinese medicine has many tools at his disposal. But what can you expect from Chinese medicine as it relates to your condition? Well, I’m glad you asked. Free parking is available in spaces marked ‘106’. After parking, cross the lot to Suite 106. Metered and non-metered street parking is also available. *MOST PPO INSURANCE ACCEPTED. ONLY YOUR CO-PAY IS REQUIRED AS PAYMENT IF YOUR PLAN COVERS ACUPUNCTURE AND YOUR DEDUCTIBLES ARE MET; PLEASE CALL US FOR DETAILS.